I am a full stack test engineer. I am capable of setting up test tools and environments on UNIX and Windows platforms, planning and programming scripts for test automation and delivering results. I have also vast experience on test management and currently I act as a supervisor to test engineers and system administrators in Exove Oy. Different embedded, desktop and server setups running Linux (Red Hat, Debian and Ubuntu etc. ), over 16 years of experience. Linux in daily use, command line and scripting are my tools. Different UNIX-variants like OS X, Solaris, FreeBSD, usage and maintenance. Microsoft Windows, usage and maintenance. Over 12 years of hands-on experience in software testing. Test automation using different tools and script languages. Proficient: Unix shell scripts (Bash, sh) and Python. Basics: (X)HTML+CSS and XML, C++, Ruby, PHP, Java and Matlab. Planning, building, security, maintenance and debugging of wired and wireless networks. Most common communication and routing protocols. 08/2013 – : Senior Test Engineer and Competence Manager, Exove Ltd, Helsinki/Tampere. Head of quality assurance and system administration. Software testing and test automation for websites, both back-end and front-end. Maintenance and setup of testing tools, services and servers. Maintenance of internal and customers’ Linux and OS X based environments. 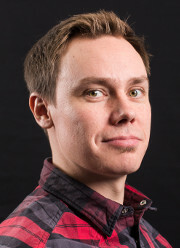 05/2005 – 02/2013: Senior Design Engineer at Nokia Oyj / Accenture Services Oy, Tampere. Automated software test planning, scripting, and execution for smartphones in UI level. Test server setup and maintenance tasks with Linux, Apache, PHP and Perl. Manual software test planning and execution in UI level with Symbian devices. Test management, result collection and reporting. Error debugging and tracing using many different tools. Technical contact person for subcontractors in Asia. 2007: Master of Science, Tampere university of technology. Self-imposed, fast learner and interested in developing as a person. Passionate about UNIX, open source and automation, especially when it comes to server deployment and software testing. Interested in web technologies, information security, virtualization and data backup.